Have you ever watched the show unique and exciting, Cow Gerumbungan? This activity is often done by the Balinese farmer plowing his field when it is completed and ready for planting. The time around August is held in the Field Kaliasem, Lovina. Usually this is not only attended by farmers or local communities around the show, but also many of the tourists who come to watch. Cattle Shows Gerumbungan it's been since the first favored by the farmers in Bali. Why Gerumbungan? 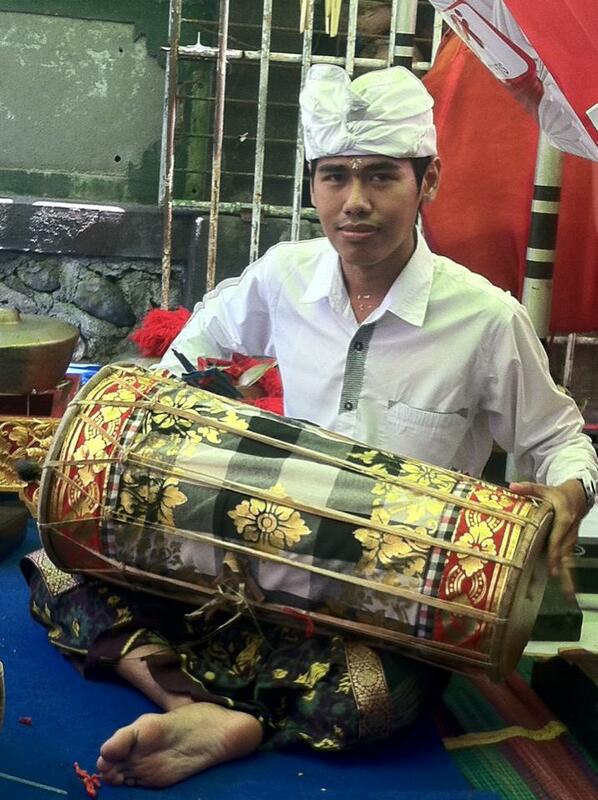 Gerumbungan is itself a large bell hung around the neck of a bull, in which a pair of cows that have been trained to be connected at the neck with a wood called with Uga. Gerumbungan cow is grateful heritage is still maintained its existence. 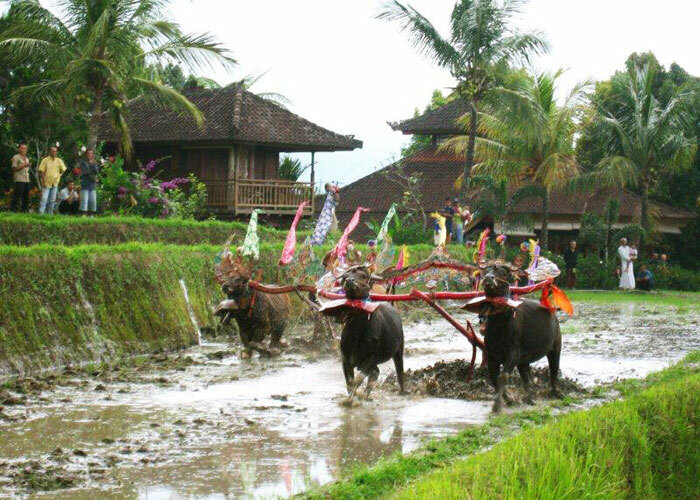 In practice, the choice of a pair of cows will attract seat jockey in a series that has been decorated with Balinese fixtures as amazing attractions. 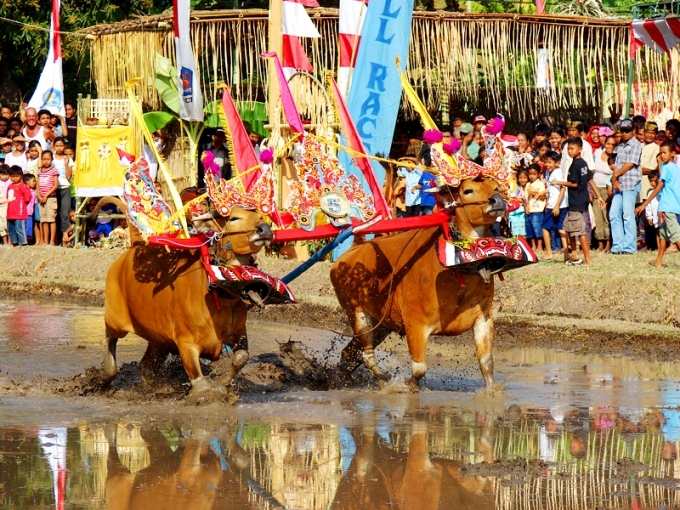 This unique ancient tradition has finally been inaugurated by the Regent of Buleleng in 2002 as the Cattle Business Group Wiwit Merta Sari. Since it has been established that even this activity now can be done with a more orderly and well programmed. The show usually held regularly in the Sunday from 8:00 to 10:00 in the village square. Not only dominated by locals to be a jockey course, even if you happened to be visiting the village could be a jockey. Do not worry about the cows run amok because cows are usually included are trained and guided by professional people that will give you an unforgettable experience. Cattle show this Gerumbungan activities are often held in the Village Bebetin, District Sawan, Buleleng, Singaraja Bali.